As everyone probably knows at this point, Inktober has begun, and I've decided to join in all the fun! Obviously, I'm gonna theme all thirty-one days of Inktober around Warriors -- not just the main book series, but around WCC as well. I'm really excited for this! I hope you all are, too! For the first day, I decided to choose sweet little Sorrelkit from the book The Darkest Hour. I'm sure everyone knows about this scene, but just in case you don't I will explain the scenario in a spoiler. 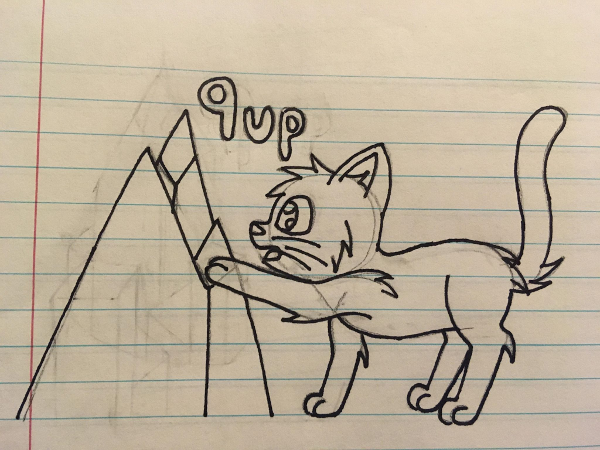 Sorrelkit sneaks out of camp to follow Darkstripe and sees him negotiating plans to meet in private with ShadowClan's deputy Blackfoot, but on the way back he sees the kit had followed and heard everything the two toms were saying. 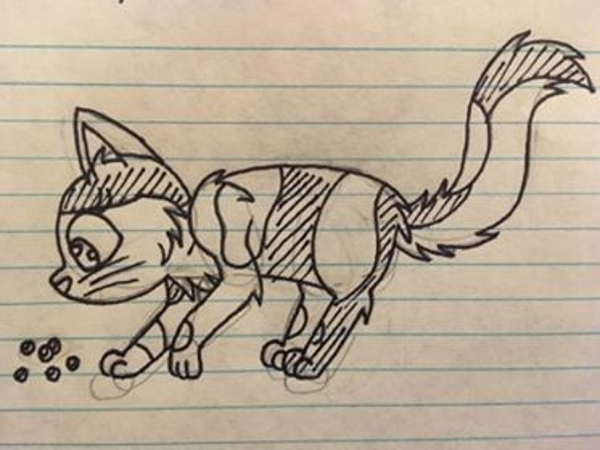 In an act of desperation, Darkstripe decides to feed Sorrelkit deathberries to kill her and keep her quiet so that his shady actions wouldn't be revealed to ThunderClan. 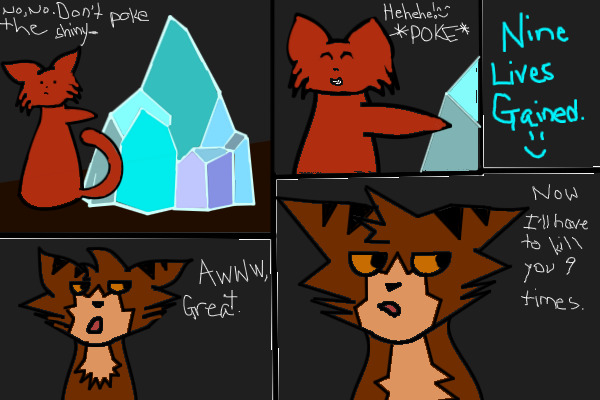 Unfortunately for him, Firestar, Graystripe, and Cinderpelt arrived just in the nick of time to save Sorrelkit from the berries' poison. 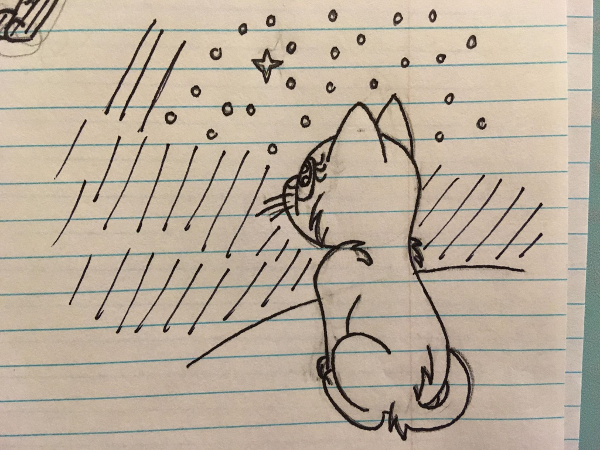 The cat I had envisioned was Bluestar looking up at the calm serenity that is Silverpelt. Nothing too specific from the books. Basically, this is what would happen if Squirrelflight didn't get out of the flames unscathed. 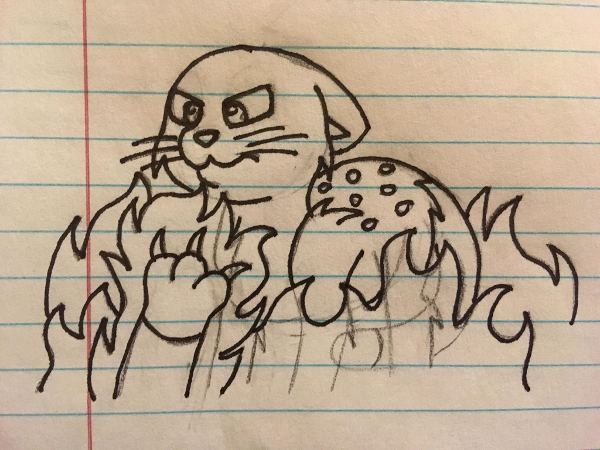 Overcome with rage, Ashfur would have pushed Squirrelflight into the fire as he forced Jayfeather, Lionblaze, and Hollyleaf to watch their adopted mother burn to death. StarClan granting leaders nine lives is kiiiiinda like a spell. Plus, I came across this comic strip yesterday that gave me the inspiration.